The iconic Savoy Hotel in London. Imagine a beautifully appointed lobby, stylishly savvy clientele and, believe it or not, an American Bar. During my recent trip to London, I had the chance to sit down with Susan Scott. 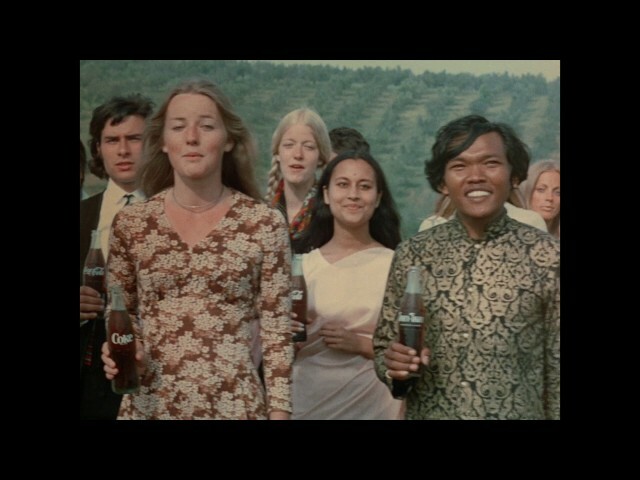 Among the many topics we discussed was the American Bar and its role in the storied 1971 Coca-Cola commercial, “Hilltop”. Watch the interview with Savoy archivist Susan Scott as she explains how the iconic 1971 Coca-Cola “Hilltop” commercial came to be in a guest room on the sixth floor of the hotel. While sitting in the Savoy, Susan and I discussed the history of “American” hotel bars designed initially to cater to U.S. tourists traveling overseas in the late 19th Century with familiar cocktails. The Savoy’s American Bar is the longest-running tavern of this type. It made me wonder if Coca-Cola was used as a mixer for some of those drinks. I could see men handsomely dressed in tuxedos and women with jewels and fur wraps… but back to the famous story about the Savoy and Coca-Cola. As our conversation turned to the making of the famous “Hilltop” commercial and I listened to Susan tell the story, I imagined Bill Backer – who wrote the tune – sitting in his suite and jotting down lyrics and notes, and possibly even using the piano in the bar to fine-tune the melody we’d later hear on television (and still hear today). Heading back to the London office, I kept thinking back to all the stories we’ve written about the making of “Hilltop” and how we continue to find more pieces of the story. Soon, I was humming along to the tune. Give it a try, and as you do, raise a bottle of Coca-Cola and make plans to visit the Savoy. Cheers! Read the story behind the famous song. Justine Fletcher is processing archivist at The Coca-Cola Company in Atlanta, USA. She’s been working at the company since 2010, and recently help host the first Coca-Cola collectors fair in London.